WYNDMERE, North Dakota | November 1, 2010 | Virginia Vaplon Goerger, Owner of Virginia’s Photos and Flowers, has been recognized by Elite American Artists for demonstrating dedication, leadership and excellence in the arts. As an entrepreneur, Ms. Goerger has established her professional studio to deliver creative services, including photography and floral arrangements, with the precision of her artistic expertise. Her freelance photography service reflects her versatile season of experience, making her an asset to special occasions such as weddings and graduations, as well as church and community events. Ms. Goerger’s creativity is also unmasked through her personalized floral design and arrangements, which she also deems appropriate for special occasions. Her capacities go beyond just the arts; as the owner of her own business, Ms. Goerger has the administrative skills necessary to conduct workshops and remain at the forefront of the industry. A small country girl from a rural American town, Ms. Goerger has traveled the world and touched many lives from various cultures with her creativity and expertise. Ms. Goerger attributes her success to her persistence and hard work. An open minded individual, she has taking on the adversity of owning a successful photography and floral arrangements business. Ms. Goerger received an associate degree in liberal arts from the North Dakota State College of Science and has taken supplemental coursework in writing. Having won many photography contests, including the Minnesota State University family history plaque, she acts as a judge for various photography and flower exhibits throughout the area. Furthermore, she has been honored with a church ministry achievement award, 4-H alumni award and best-of-show trophy. Her enthusiasm has led to her involvement in local theater productions, where she gathers familiarity in acting, staging, customs, and painting backdrops. Ms. Goerger’s altruism shines through her commitment and support to community programs, having earned her a community leadership award. In light of this, she is also recognized as an officer in the Lidgerwood Camera Club, Garden Club, Wyndmere Community Club and Tri-County Community Theater of Southeast North Dakota. Her professional affiliations include Phi Theta Kappa, the International Scholar Laureate Program, The Bagg Bonanaza Farm Historic Preservation Society and the American Association of University Women. 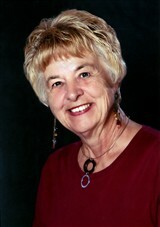 Ms. Goerger is also the 2010 editor and publisher of the Wyndmere-Barney 125th Anniversary hardcover book. By combining her passion for the arts and her talent, it is no wonder Ms. Goerger has met with success on many occasions. 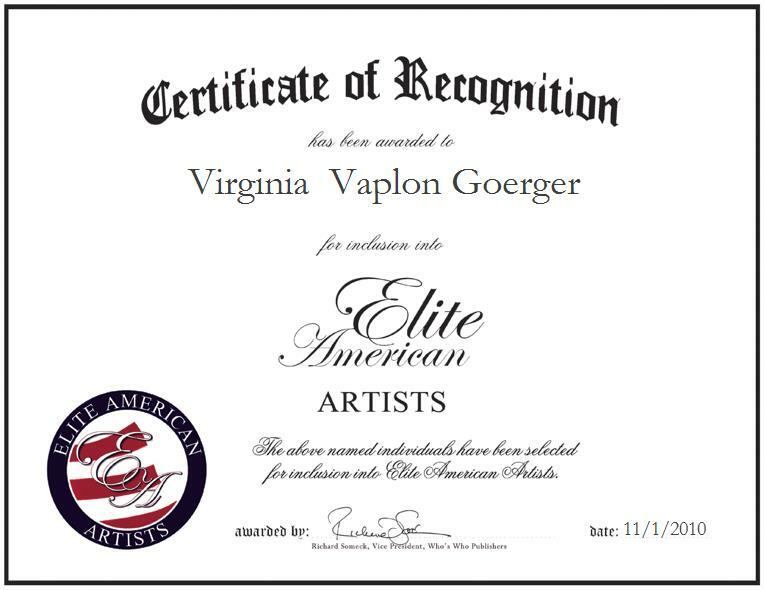 For more information, please visit her personal website at http://www.virginiavaplongoerger.com.